Stan Bush Releases Animated Video For ‘Never Surrender’ – Rockposer Dot Com! Legendary AOR singer/songwriter (Emmy Award winning recording artist) Stan Bush has released a brand new animated video for ‘Never Surrender‘, the song is taken from ‘Change Of World‘ the 13th album, and out today September 22th, 2017. The ‘Change the World‘ album also includes ‘Warrior’, featured in the Shadow Warrior 2 game. 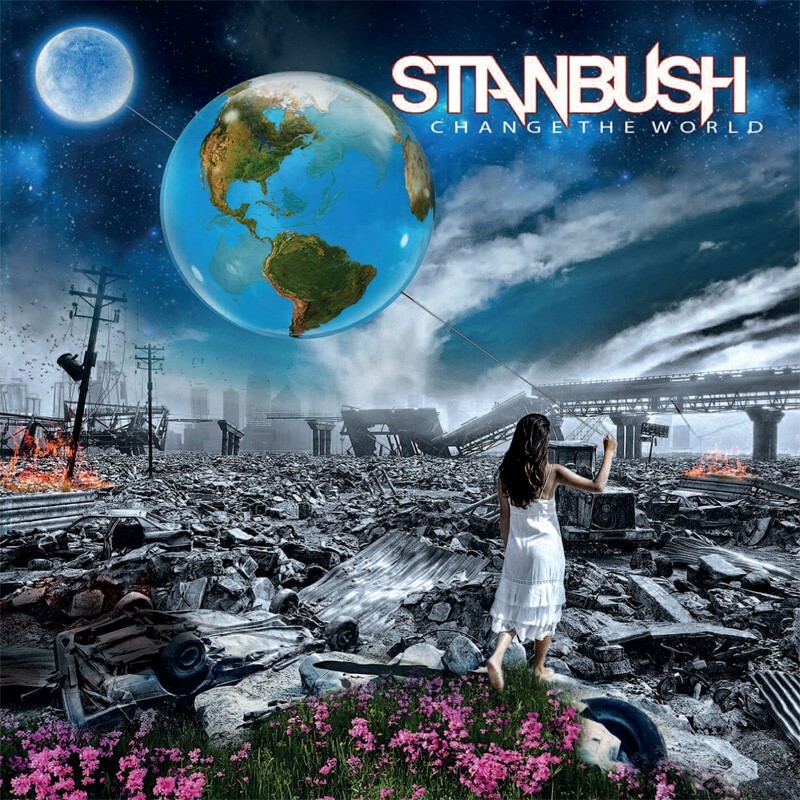 The title track ‘Change the World‘, one of Stan Bush’s best songs contains a message of hope and unity. ‘Born to Win‘ and ‘Live Your Dream‘ are songs about winning and believing in yourself. ‘The Story of Love‘ is a power-ballad about how confusing love can be. Another amazing song is the closing track, ‘The Secret‘ which contains a powerful message of love. The all-time classic Stan Bush songs ‘The Touch‘ and ‘Dare‘ from ‘Transformers: The Movie‘ round out this masterpiece of an album. Look for Stan Bush to break through to a worldwide audience with this gem of an album! The album was produced, engineered and mixed by Holger Fath at The Barn Studios, Moorpark, CA and mastered at Aftermaster Audio, Hollywood, CA. World-class rock singer, Stan Bush is best known for his song “The Touch” featured in “Transformers: The Movie”. An anthem for Transformers fans around the world, “The Touch” was also featured in the movie “Boogie Nights”, on Chuck (NBC), and American Dad (Fox), The Goldbergs (ABC), Guitar Hero, and the Saints Row IV game. Stan Bush was inducted into the Transfomers Hall of Fame in 2014. In 1997 Stan Bush won an Emmy Award for Best Original Song, ‘Til I Was Loved By You‘. Another of his songs “Capture the Dream” was featured in the 1996 Olympics. His tracks were used in two Jean-Claude Van Damme films: “Kickboxer“, a major film sequel to the action adventure film, “Bloodsport.” Stan Bush has written with many top songwriters like Jonathan Cain (Journey), Jim Vallance (Bryan Adams; Aerosmith), and Paul Stanley of Kiss. Stan Bush has toured extensively throughout the U.S. and Europe.